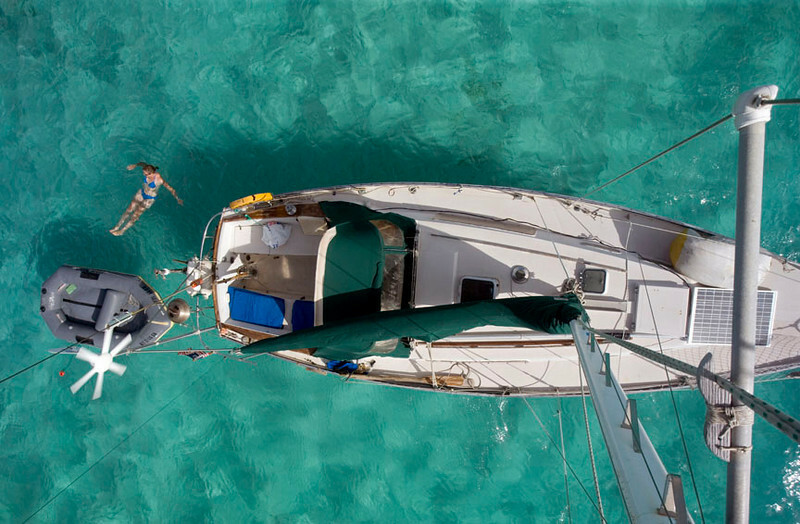 Looking down at a Grampian 30 cruising sailboat in the Caribbean. The first mate is having a swim off the stern. The boat sports a wind generator and a solar panel and mast steps.